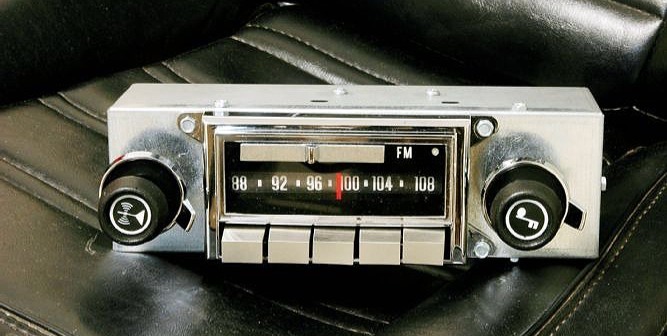 There are companies in San Jose that can restore and repair that old car stereo! Where would we be without the car stereo? Strolling through San Jose in the Bay Area, you may see a beautiful classic car, polished and shining in the Californian sun. The outside is just the beginning. More time, effort and money has probably been spent restoring this classical beauty's interior, including that old car radio! Radio began in 1893 with Nikolai Tesla's demonstration of wireless radio communication in St.Louis, Missouri and found it's voice in the early 1900s. In 1919, Popular Mechanics predicted that practical and useful radio equipment for automobiles was not far away. It wasn't until 1930 that Paul Galvin and Don Mitchell from Galvin Manufacturing came up with a method for installing audio systems in cars. Galvin then set across the USA in his Studebaker to demonstrate this exciting new form of entertainment - the car stereo system. Until 1955, any music played on the radio was limited to the arrangement and choice of local radio stations. If you wanted to listen to something different, you had to sing it yourself! 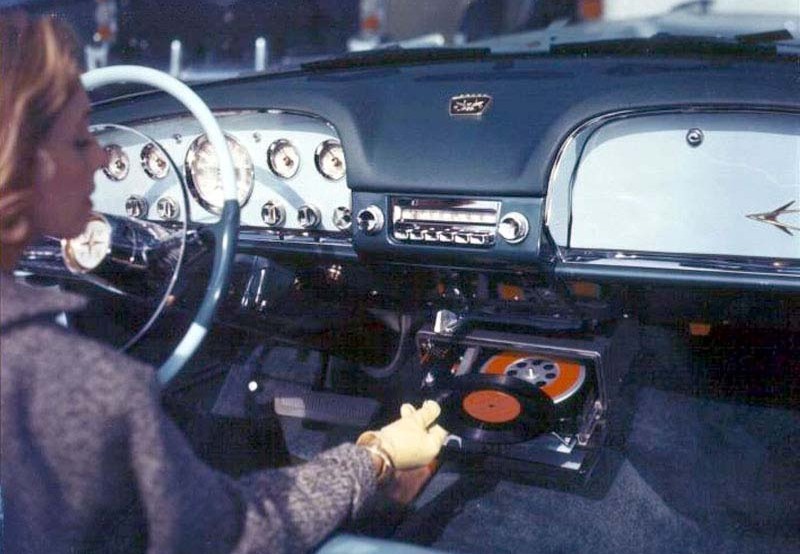 Soon after, Chrysler revolutionized the car industry by developing a mobile record player - the “Highway Hi-Fi” was available as an option on the 1956 Chrysler, Desoto, Dodge, and Plymouth. Mobile record players were short lived. Until Philips unveiled the compact cassette tapes in 1964, the only way to customize a playlist was using a stereo 8, or eight-track tape as it was known back then. Customized car audio systems became popular in the early 1970s, providing car owners the ability to expand their sound system beyond that provided by car manufacturers. Brands such as Alpine, Kenwood and Pioneer became market leaders in the automobile sound industry, leading the way with cassette, amplifier and speaker technology. Enthusiasts and car manufacturers started to pay more attention to the sound quality of the amplifier and speakers themselves. In 1982 the United States transitioned from tape based systems to the compact disc. Instead of tedious fast forwarding and rewinding, the CD allowed you to skip tracks back and forth instantaneously. In 1984 Pioneer introduced the CDX-1, the world's first car CD player, known for its superior sound quality and instant track scanning. By the mid 1990s, it was common to find multiple-disc CD changers underneath a front passenger seat or in the trunk of a car. As automakers incorporated anti-theft systems and upgraded audio systems, they also started to integrate units into the dashboard, making it harder to install customized audio systems. Whether this was for interior style reasons or just to discourage buyers from tampering with the vehicles, it upset a lot of people. On Oct.24, 2001, The New York Times published a story about a new portable music player so small that it fit into any back pocket. The iPod quickly overtook what remained of the compact cassette market. However, there wasn't any way to connect an iPod to a car stereo. Automobiles were soon fitted with auxiliary inputs that connected to any MP3 player headphone jack. Today, USB jacks are standard equipment. During the first decade of the 21st century, the centerpiece of the car's sound and information system, gained the ability to interface with phones and other devices via Bluetooth. This technology allowed for hands-free calling. The accuracy of GPS systems also improved leading to an explosion in both OEM and aftermarket navigation systems. Today, the biggest problem is finding parts and the people who can repair them! The electronic wizardry found in modern cars today is as complicated as that of the 50s. A lot as changed and some audio favorites have disappeared, making it difficult to source and repair audio parts. California is home to more classic cars than any other US state. Short Circuit, located in San Jose, CA is one of the few companies in the USA to have evolved with this fast changing automotive industry. With over 38 years of experience, technicians at Short Circuit repair on average 13,000 car audio units yearly and and are currently servicing over 2,000 dealerships nationwide. Short Circuit provides the following services and also ships overseas to international clients. Classic car audio restorations are like movies: some can be compared to the sweet symphony of an orchestra, while others might turn into a frightening horror show. However, the process remains the same - you have to find the right technician to repair and/or restore classic car audio.